You have a plain glass. An ordinary one, with no design on it. If you got bored with it, you may want to decorate it a little. 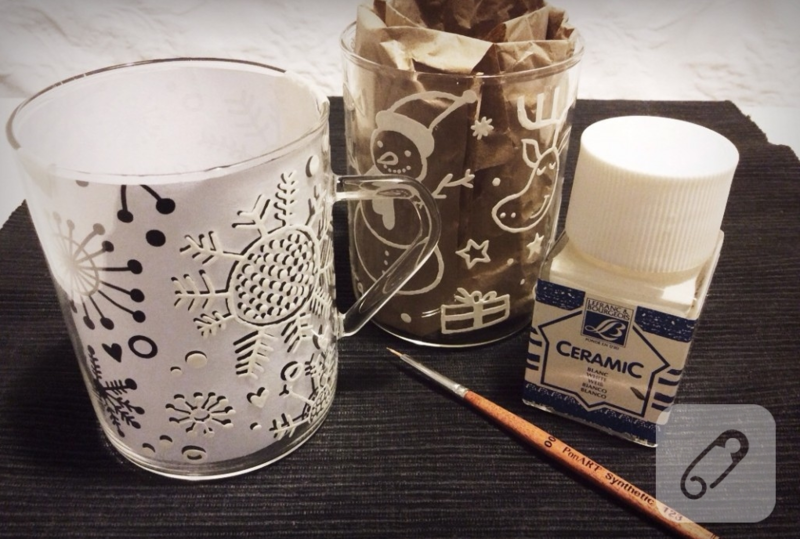 In this case, you’ll need a glass, a very thin brush and an opaque glass paint. First, you need to find a good design – not a very complicated one – and print it out. If you feel confident about your ability to draw, you may not use it. But if you will, you need to place the paper inside of the glass and fix it with some tape. Now, dunk your brush into the paint, skim it, and start to paint. Just follow the lines and be careful. It’s and easy and enjoyable application. After you ‘re done with painting, take the paper out, clean the tapes and put the glass into the oven. After curing it at 150 degrees for 25 minutes. When it’s done, wait for the oven to get cold with the glass in it.